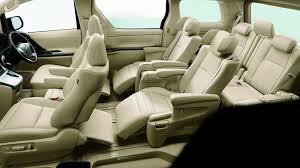 Introducing the Toyota Alphard, our latest luxurious Japanese import. The Toyota Alphard first came into manufacture by Toyota in Japan mid 2002, it is a very classy luxurious vehicle considered to be the top of the Toyota range of high end luxury Multi Purpose Vehicles (MPV). The safety and reliability of Toyota speaks for itself. 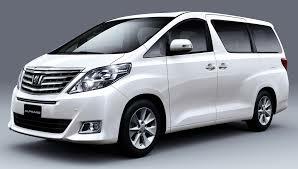 The Alphard is produced as a 7 or 8 seater large MPV with electric sliding side doors, either 2.4 litre 4-cyl or 3.0 litre V6 petrol engine with automatic transmission, 2WD and 4WD. Can easily be converted into a luxurious campervan. We can offer various conversions to suit your requirements.